Yesterday, I set down some goals I’d like to accomplish in 2011. Today, I thought I’d look back at 2010. 1. What did you do in 2010 that you’ve never done before? 2010: So long and thanks for all the Tim Tams! 2. Did you keep your New Years Resolutions and will you make more? I made 10 last year. I think I kept about four. This year, I’ve set goals, rather than make resolutions. Nope. Looking forward to that this year though. Good health, both physical and mental. 7. 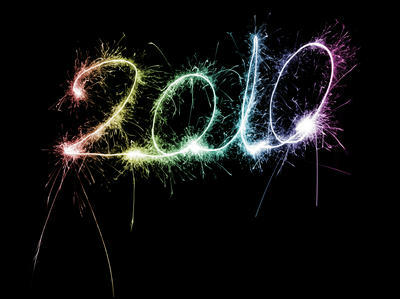 What date from 2010 will be etched on your memory? October 30. I got to see my cousin get married! Getting a new “job.” Or, I guess I should say “position” since I’m still at the same place. But I’m really liking it! Not keeping up with my writing. So many choices! New laptop, Kindle, iPod… but I guess my best purchase was the plane ticket to Australia. What an… odd question. One I don’t really know how to answer. Members of dad’s extended family. And the general public. 15. What did you get really really excited about? 16. What song will remind you of 2010? 17. Compared to this time last year are you: happier or sadder? Thinner or fatter? About the same on all fronts I guess. 20. How will/did you spend Christmas? 21. How will/did you spend New Years? Chasing my nephew around the house. Also, celebrating Mom’s birthday. I have to pick one?? Um… Think I’ll go with “Doctor Who.” Or “Castle.” Or “The Big Bang Theory.” Don’t make me choose! Nope. Pretty much hate the same people I did last year. 26. What was the best book you read this year? 30. What was your favorite film of the year? Since I only saw four films in theaters this year, I will have to go with Harry Potter and the Deathly Hallows Part 1. 31. What did you do on your birthday and how old were you? I was 34. I was on my last day of vacation. Did a little shopping. Went to Cracker Barrel to eat. 32. What’s one thing that would’ve made your year more satisfying? Planning an overseas trip. Of course, it also made me a bit insane. My brother. Always miss him even though I do get to see him occasionally. I’m… not sure I met any new people. My cousin’s new husband’s sister is pretty cool though. I’m through with playing by the rules of someone else’s game. 40. Tell us a valuable life lesson you learned in 2010. Never get your hopes up.